An increasing number of Americans fail to plan appropriately for the future needs of themselves and their families, both through inadequate retirement savings as well as neglected estate planning. August is Make-a-Will Month, a national campaign to spread awareness of estate planning benefits and some mistakes to avoid. A will provides detailed instructions for surviving family members regarding one’s desired disposition of one’s estate. In North Carolina, the estates of individuals who die without a will are governed by state intestacy law. Often, the individual(s) entitled to receive a portion of one’s estate as an heir at law under intestacy statutes is not the same person or people who one would have chosen to receive those assets. Surviving children of parents who die without a will are cared for by the individual appointed by the court according to North Carolina’s guardianship statutes, which might not align with the values and wishes of the parent(s) when they were alive. Having a valid will in place can help to prevent application of default statutes by naming the people one wishes to receive one’s estate and serve as guardian of one’s children. DIY wills. Our estate planning attorneys in Chapel Hill reviewed the disadvantages of Do-It-Yourself wills. Individuals who opt for this route generally do so because the costs are low. However, DIY wills often inaccurately address changing legislation, which means the testator’s intents might not be adequately preserved. Furthermore, the time spent by an attorney assisting the administration of an estate in which someone executed an invalid or incomplete DIY will might result in higher attorneys’ fees than retaining an attorney to draft the will. Outdated beneficiary designations. Beneficiary designations on insurance policies, retirement accounts, and other assets entitle the named person to the respective asset upon the account owner’s death. Changes to a will do not supersede beneficiary designations. If a testator wants to ensure a former spouse or other individual is removed from a designation form, changing provisions in a will does not effectuate a change of the beneficiary designation for the account(s) in question. 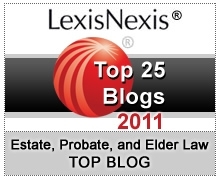 Limitations when relying only on a will. A will cannot update beneficiary designations as noted above, maintain the privacy of heirs and the assets they receive, nor can it protect named assets from creditor claims. If the testator moves out of state, the will might not be recognized in their new jurisdiction. Even the most updated will should be evaluated as part of a comprehensive estate plan review. A review provides an opportunity to address questions and concerns regarding changing needs and goals of the testator, ways of holding title to property, assets located in other states, and new legislation. 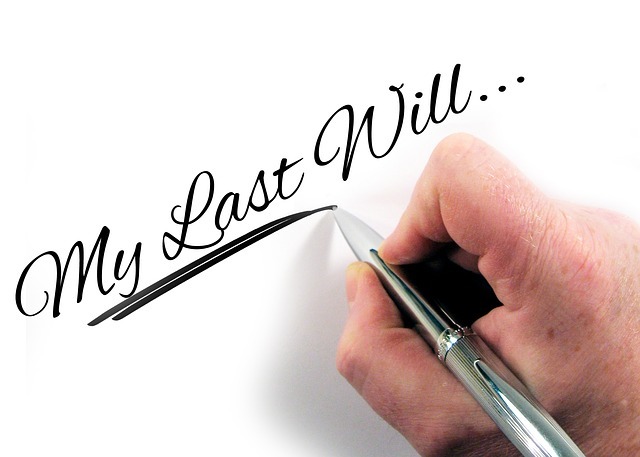 Eventually, a will becomes publicly available during the probate process. If the testator is concerned about family or friends learning about the terms of their will, trusts might be a more attractive option for transferring assets. Assets held in trust pass immediately and confidentially outside of probate. Trusts can also protect the assets from judgments or divorce claims against a beneficiary. Surveys consistently show that most individuals who do not have a will simply do not make the time to create one. The short time it takes to regularly review one’s estate plan can help prevent a lengthy and costly probate process for surviving family. Our attorneys urge you to make the time during Make-a-Will Month.